Shaping the future of tomorrow! We are always open for new cooperations. The Ocean College is a half year exchange program for school students on a sailing ship. They give their students a unique education experience by focusing on different pathways. One of these is the nature path in which students learn to reflect how humans are influencing the biosphere and the biodiversity of our world. This path includes classes about microplastic as well as field studies where they experience how pastureland can be reforested, what sustainable agroecological solutions already exist and how they can coexist with nature. Especially the last two topics were mainly discussed in the workshops in their previous stay at Planet One World. 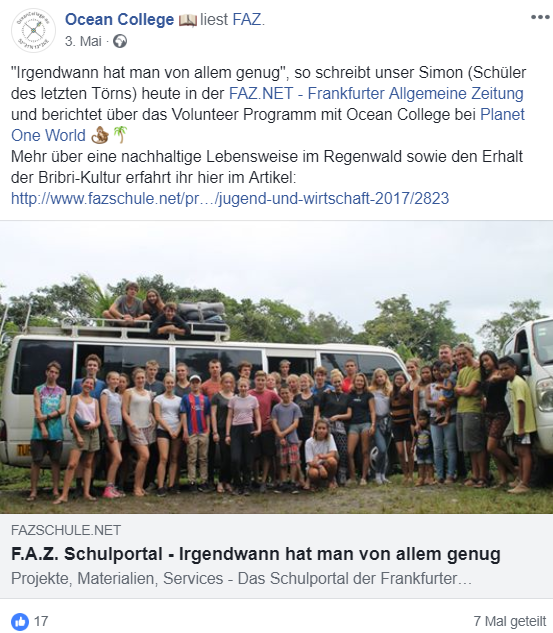 34 students with four teachers stayed for eight days and got workshops on being a Park Ranger, monitoring a nature reserve, scientific monitoring with RARG, setting up camera traps, agroecology as well as alternative sustainable technologies. Ultimately we visited the shaman of the BriBri, waterfalls and others sustainable Indian projects. Especially the BriBri culture fascinated the group which is why we are now planning to build a BriBri Cosmic Dome House at their next visit in January 2019. Tropica Verde e.V. 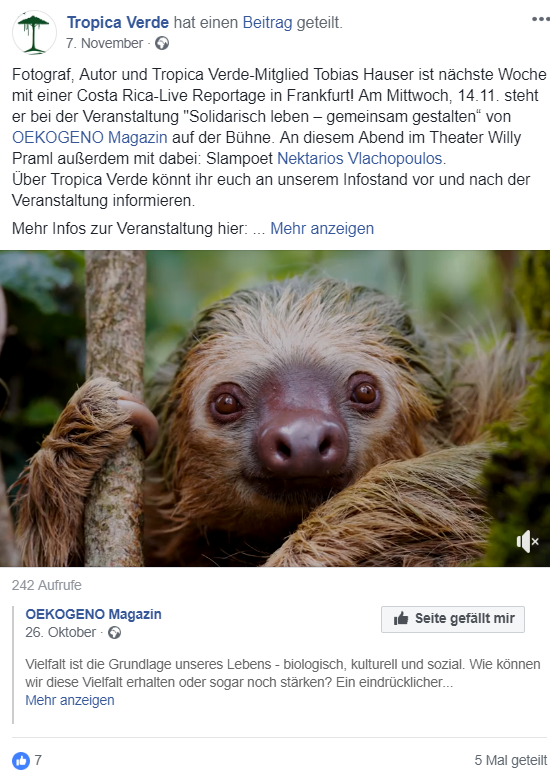 is a German NGO which is committed to preserving tropical habitats, preserving biodiversity and protecting endangered species. 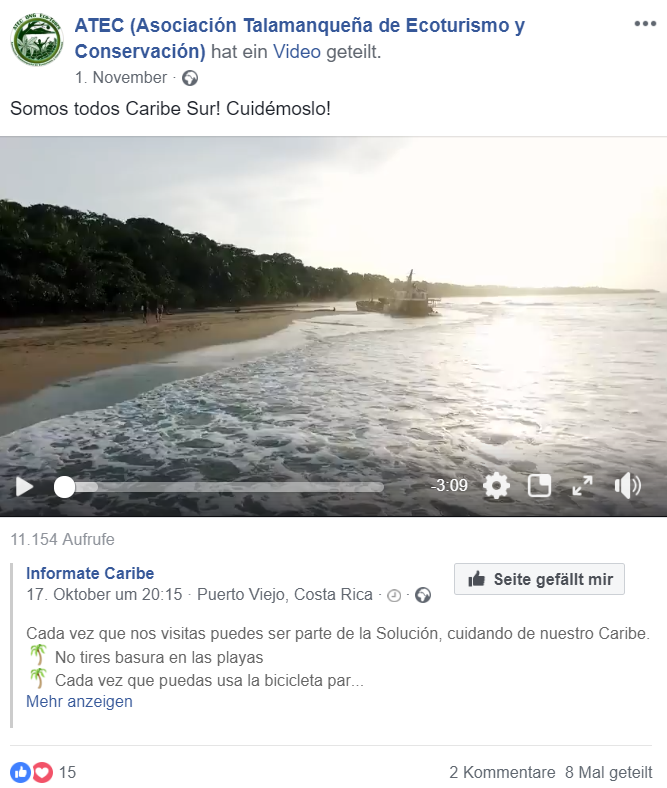 Concrete conservation projects are being carried out in Costa Rica and accompanied by educational measures in both Costa Rica and Germany. 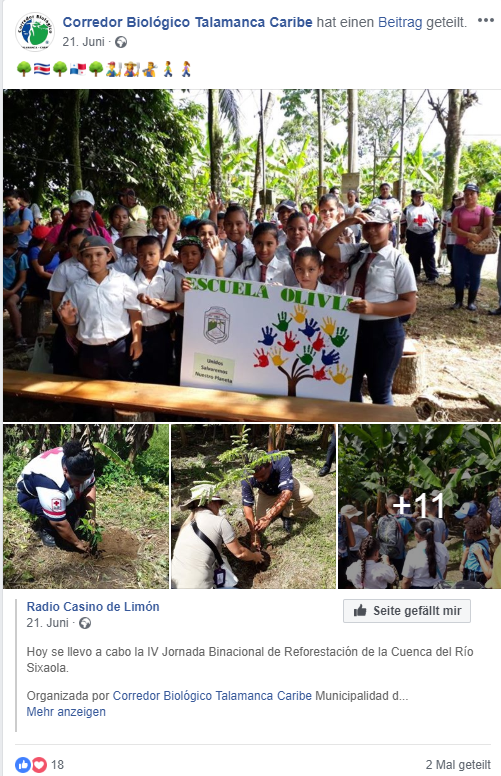 The aim of education is to raise awareness of the sustainable protection of the environment and biodiversity in the population and especially among children. The successful implementation of our projects and educational work is based on a long-term, trusting and transparent cooperation with local actors on site. 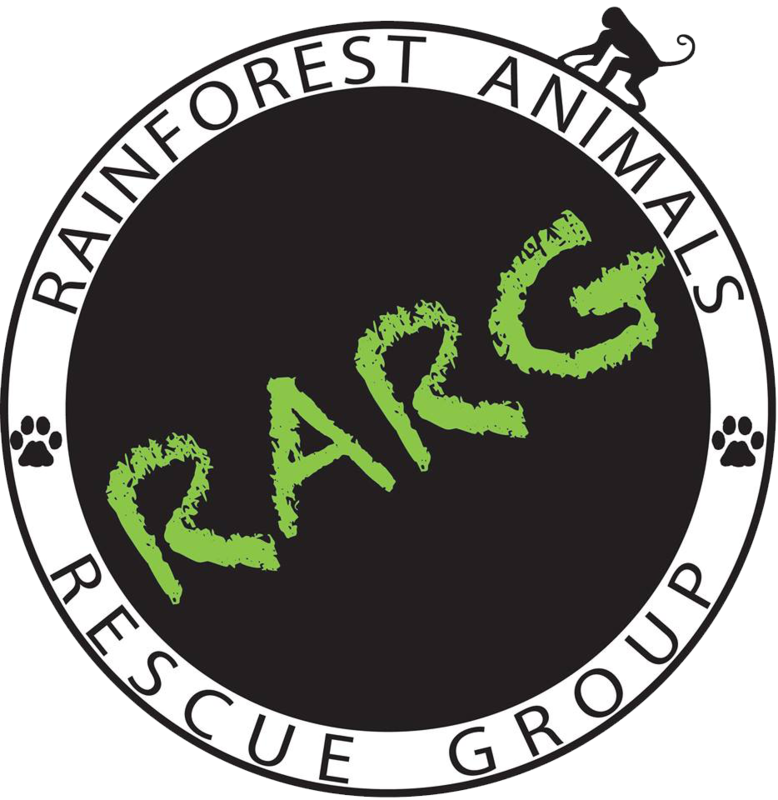 The Rainforest Animals Rescue Group is an Norway NGO. Together Fin and Fabi giving night walking tours in our private wildlife refuge. 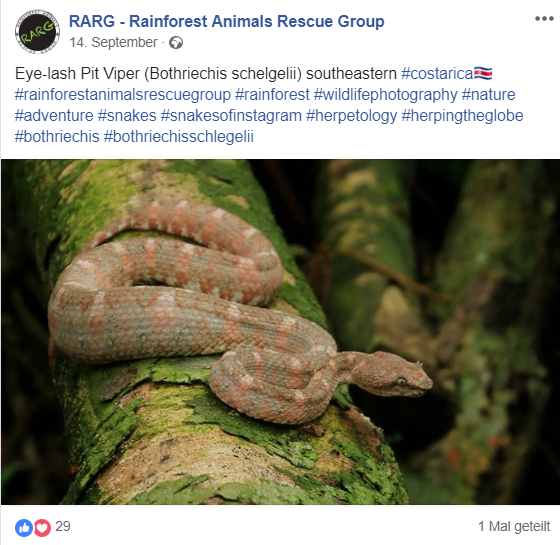 They persuade with vast scientific knowledge about a lot of species as well as a incredible safe treatment of pretty danergous animals like this beauty down here. 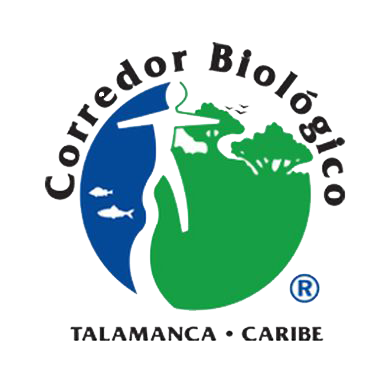 The Organizations of the Corredor Biológico Talamanca Caribe is a non-profit, non-governmental organization of the second degree, declared of public utility. 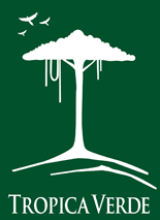 Its members are 17 Talamanca organizations, among which are community development associations, indigenous development associations, associations of small producers and conservation associations; all with common interests to promote the protection and sustainable management of natural resources. In 1987, a group of Talamancan residents started to meet and discuss their concerns about the rapid social, cultural, and economic changes accompanying the increase of tourism to the area. 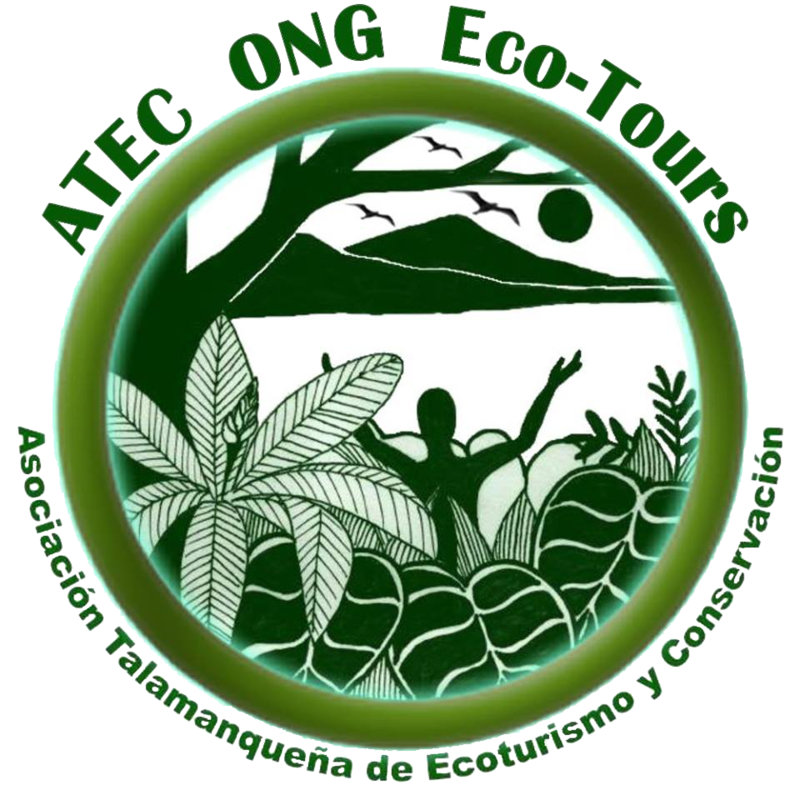 In 1990, they became an incorporated grassroots non-profit organization and called themselves Asociación Talamanqueña de Ecoturismo y Conservación, ATEC. 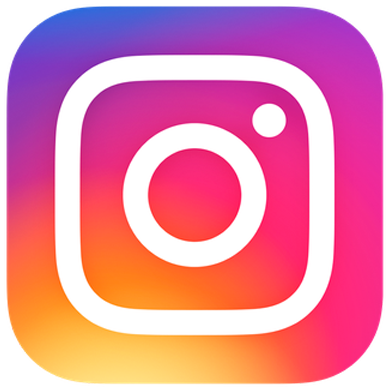 They introduced the Internet to the region and incorporated an internet café, a traveler’s resource center, made school and office supplies available, and it was for years the only office/copy center in the region. In recent years, the previously isolated Talamanca region has seen rapid and irresponsible infrastructure development and a dramatic population influx that endangers its natural beauty and charm. ATEC as a community continue to strive to maintain balance, protect the ecology, and sustain their cultural identities that makes this little piece of Earth special. 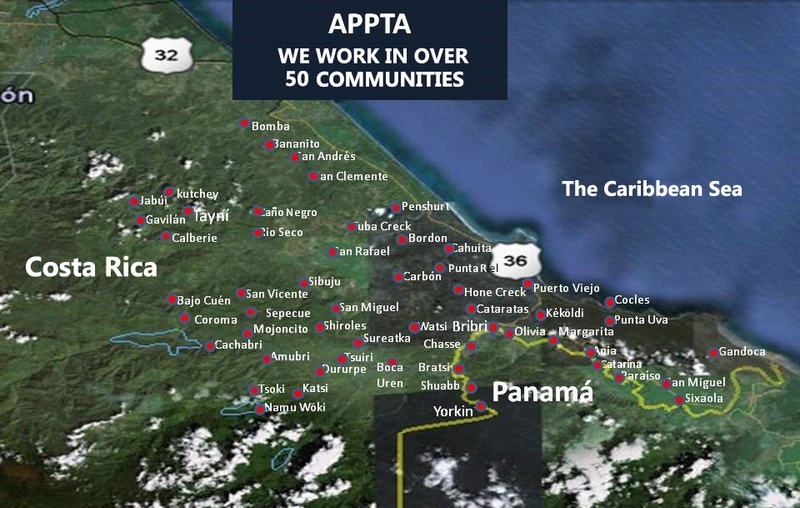 The APPTA is a small producers association that was founded in 1987. Today, the association consists of 932 producers of which 80% are indigenous Bribri or Cabecar, and 20% are black and white. 38% of the members of the association are women. They work with 55 different communities in the southern region of the Caribbean in Costa Rica, known as Talamanca. Specialising in organic agriculture and sustainable development, providing tools for conservation and sources of income for the Talamancan people. 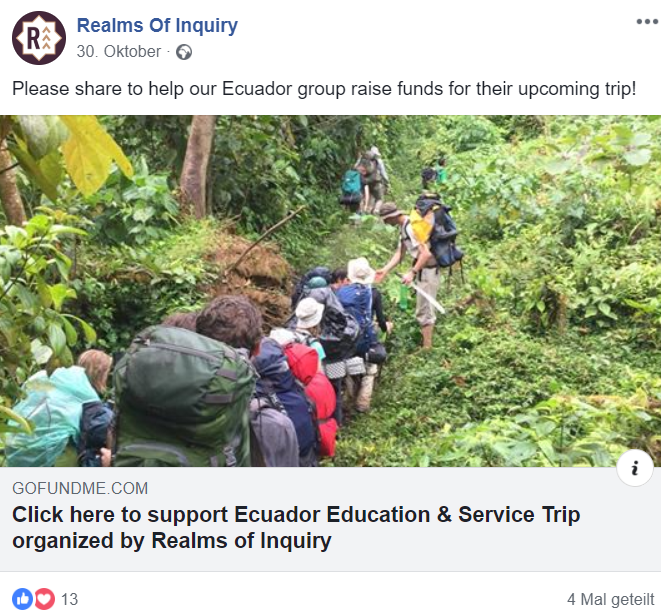 Realms of Inquiry, a cooperative learning community that offers an accredited curriculum for grades 6 through 12, is dedicated to providing a supportive learning environment for bright and intellectually creative students. Working closely with faculty, each student designs a program tailored to his or her particular interests and learning style. 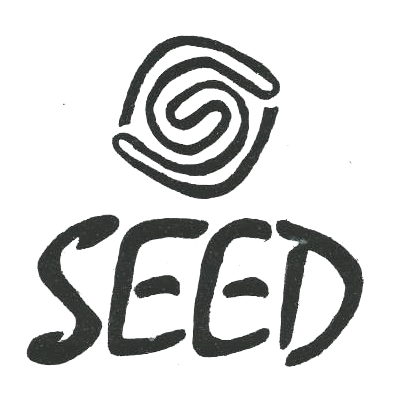 SEED is a sustainable international Ecovillage for sustainable living near Cahuita in the Caribbean in Costa Rica. They further run an agroecological demonstration centre in which they teach advanced agroecology. 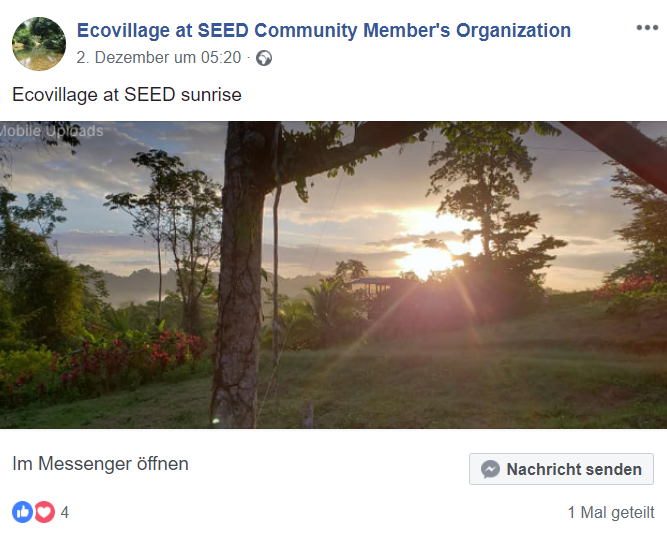 As Planet One World even Seed is a private Primary Forest Wildlife Sanctuary and through crowdfunding, they are supporting local farmers in wildlife protection. People from around the world are buying a piece of land through what the farmer can further afford it to protect his forest instead of making money out of it by cutting it down to turn it into grazing land or tourism facilities.